Calling all Singers, Poets, Musicians, Conscious Hip Hop Artists, Actors/Actresses with dramatic monologues, Dancers, and anyone with unique talent to share...it's time to Do YOU to the Fullest! Performers: If you have background music, bring it on your Android phone or mp3 player. Iphones can't be used unless you have an aux cord adapter. No cds or flash drives allowed. Acoustic or accapella works too! 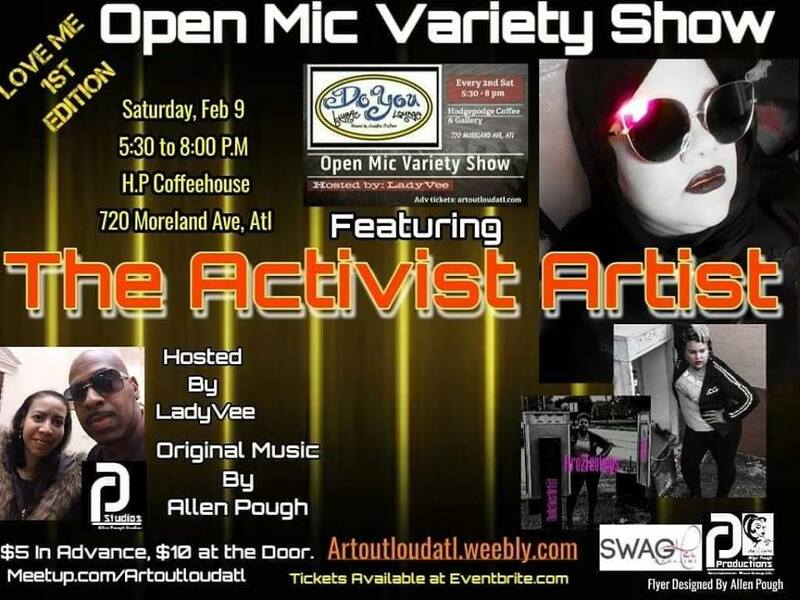 **Please bring an Open Mind, Encouragement for our live entertainment performers, and a willingness to have a Fantastic Night of Quality Creative Expression!